The Pullman brand is synonymous with upscale, contemporary hotels catered to cosmopolitan travellers who travel for both work and pleasure. Found in the world’s most vibrant global cities such as San Francisco, Barcelona and Seoul, the hotel chain attracts modern-day adventurers. The new lobby, called The Junction at Pullman, features a brand new concept in hotel lobby design. 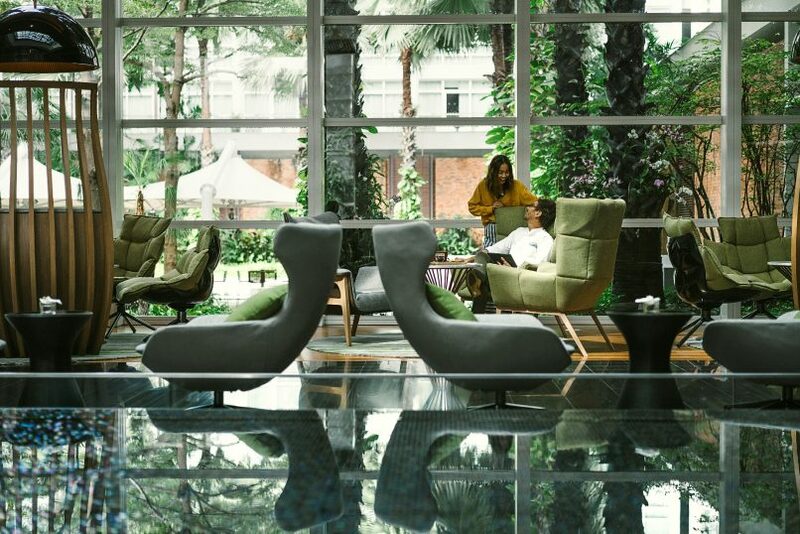 This sets the tone for Pullman Bangkok King Power’s renovation concept, ‘Our World Is Your Playground’. The first Pullman hotel in the world is also the brand’s first to undergo a major revamp — almost 10 years after it started operations in October 2007. The renovation sees the hotel’s lobby (called The Junction at Pullman), five restaurants and bars, meetings and events spaces, executive lounges, 20 function rooms including Eternity and Infinity ballrooms, and all 354 newly designed guest rooms — including 18 brand-new deluxe rooms with private balcony — get a complete makeover. 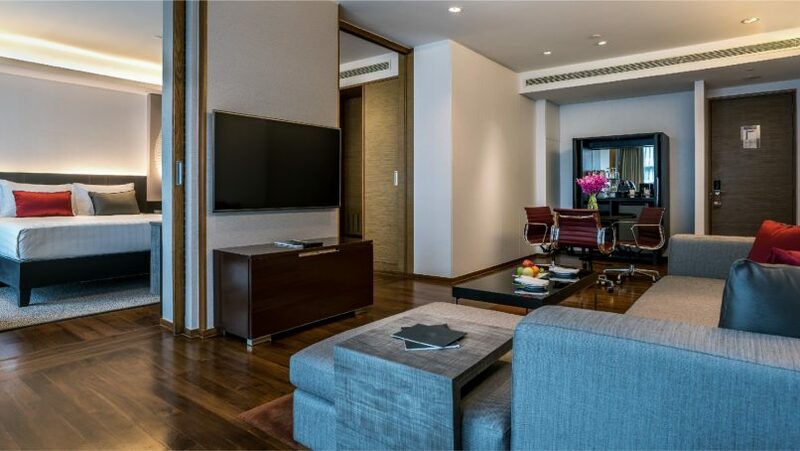 The newly designed suites provide modern amenities catered to the well-connected traveller. All of its 354 guest rooms — including 18 new Deluxe rooms with balconies — have been redesigned by the award-winning architecture firm, Architects 49. The rooms now offer modern-day amenities such as free Wi-Fi, USB charging points, and a rain shower with bathtub featuring New York’s C.O. Bigelow’s bath and skincare products. 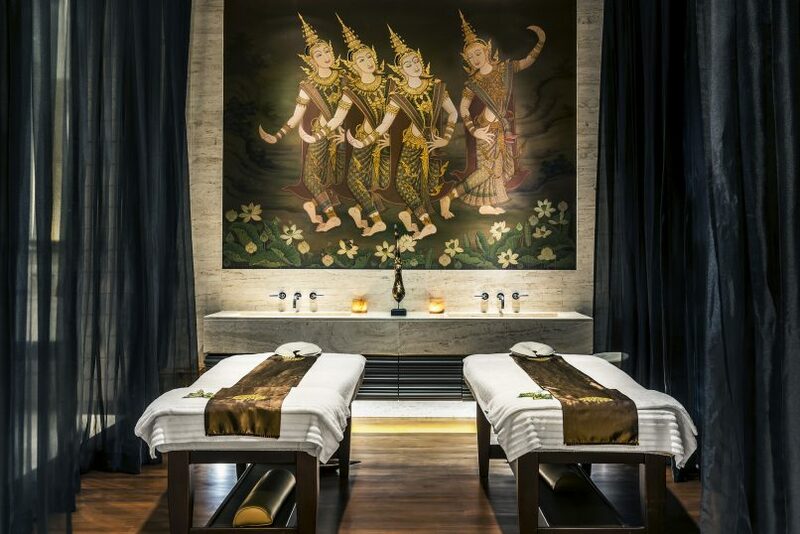 Known as one of the best spas in Bangkok, the newly designed Pullman Spa is an urban sanctuary offering travellers on-the-go a holistic spa experience. 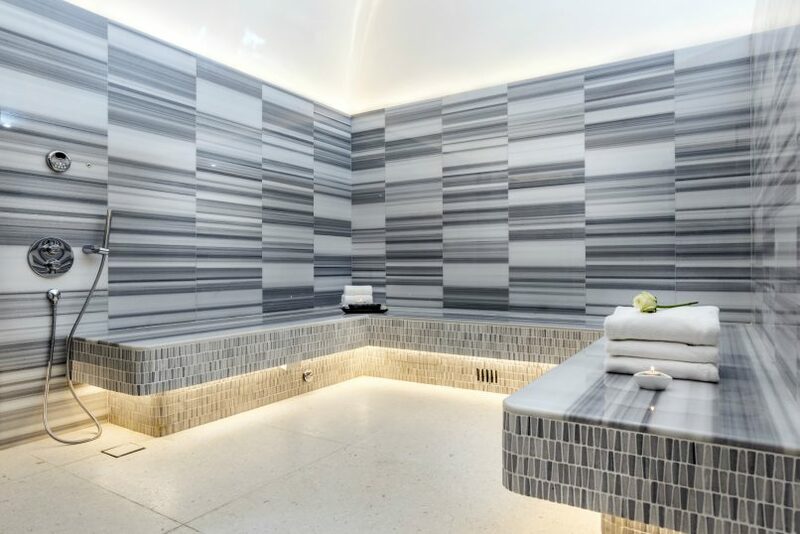 The new spa boasts eight private treatment rooms including an LPG Endermologie slimming treatment room, Moroccan Hammam room, spa suite, sauna and Jacuzzi. The newly designed Pullman Spa provides modern travellers with a holistic spa experience in an urban setting. A must-try treatment is the spa’s signature LPG Endermologie, a non-invasive anti-ageing and slimming treatment that helps reduce the appearance of wrinkles and cellulite. Want to leave with a radiant glow? The treatment also includes a Hammam ritual, a traditional Moroccan Water treatment that cleanses the tired body of impurities. Alternatively, try the Cryolift device by Laboratoires Filorga, which combines cryotherapy and LED light therapy technology to help treat pigmented and fatigued skin to restore skin radiance and firmness. This treatment also helps to reduce wrinkles, improve skin elasticity, treat acne problems and remove sunspots. After which, you can choose to indulge in a selection of traditional massages available. From aromatherapy to hot stone massages, these treatments make use of a unique blend of Thai herbs, organic ingredients and infused oils by Pañpuri — a wellness brand inspired by ancient Asian spiritual and physical well-being remedies. The final phase of the renovation also includes Pullman Fit, the hotel’s in-house gym. Fitness junkies can make use of the state-of-the-art equipment, including the latest Smith machine for weight training, to stay in shape. Who says you have to give up on your fitness routine when travelling? The 27-meter infinity outdoor pool. 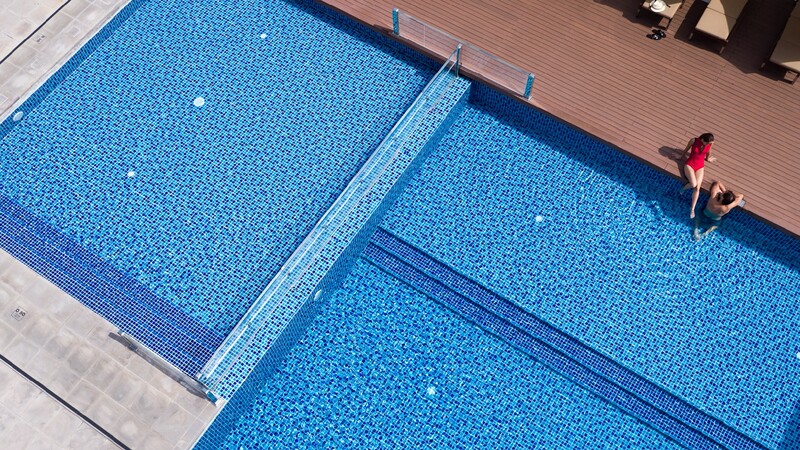 To cool down after a fully-charged workout, head for a refreshing swim in the 27-metre infinity outdoor pool. 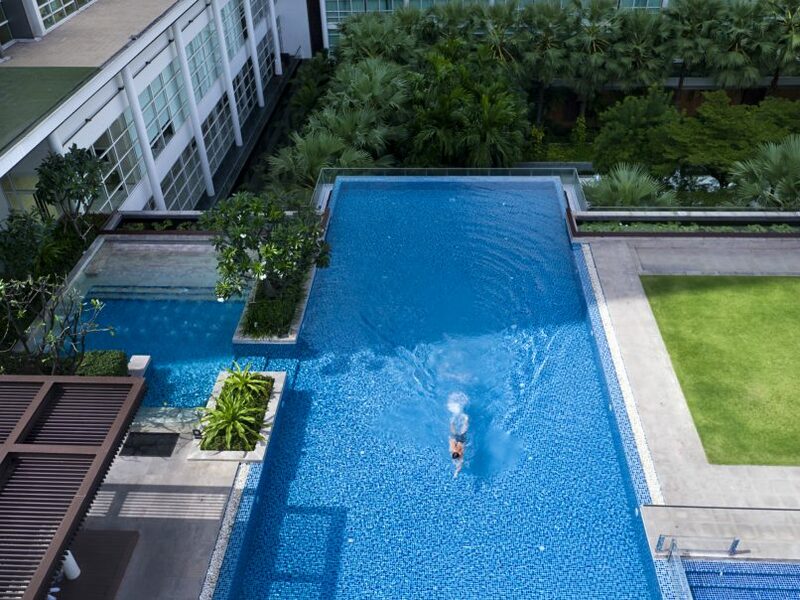 Surrounded by a lush tropical garden, it feels like an urban oasis in the heart of Bangkok. If you’re feeling peckish, enjoy the variety of finger foods and light snacks by the Pool Bar.